In 1917, 12 year-old Leela's husband is killed by a snake. And while she has never lived with her husband, she is condemned by custom to spend the rest of her life as a shunned widow, starting with a full year of seclusion. 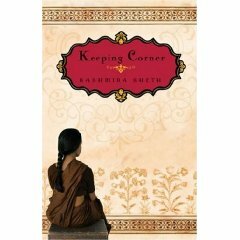 Set amidst real political events shaking India at the time, this semi-biographical tribute to the author's great-aunt creates an interesting setting for ordinary adolescent yearnings in extraordinary circumstances. While the story can get a bit sluggish and repetitive, the setting makes for interesting reading. This is no milestone piece or even a particularly original story, but for a reader unfamiliar with Indian rural culture (i.e., most of us!) this is a decent read. The political angle works less well as it never fully integrates with Leela's search, despite the author's intent.